In the past decade, metal has started to be used as siding rather than just as roofing. 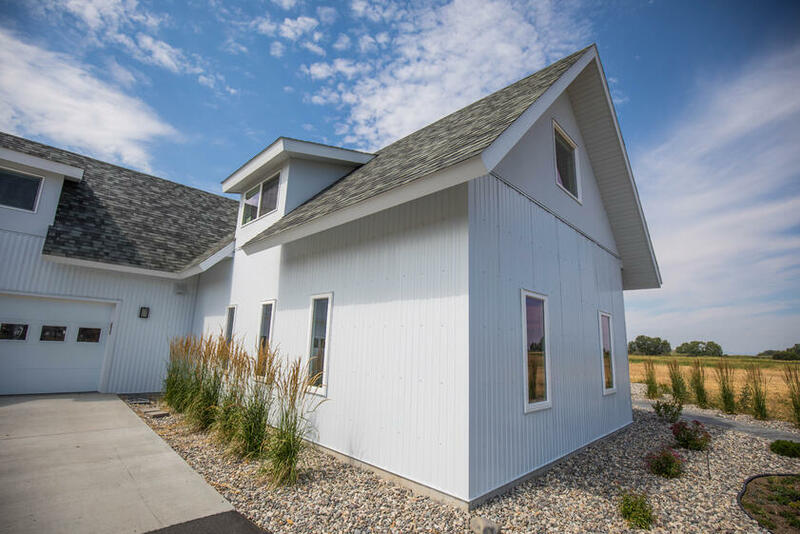 As a siding panel, metal can provide a home with unique horizontal or vertical lines. Residents often enjoy the complement wood or stone can provide in tandem with metals. The cool effect of a natural metal adds to the warmth of a bright wood entryway or door. Builders often use painted metal to contrast cool natural finishes like stone or concrete. In more recent years, corrugated metal has become a favorite of builders and architects due to its consistent lines. Used in combination with flat materials, corrugated metal is now showing up in modern mountain designs, and even in urban settings. Another popular choice trending upwards is the accent roof. A corrugated accent roof adds another element to an otherwise dull asphalt or shake roof. 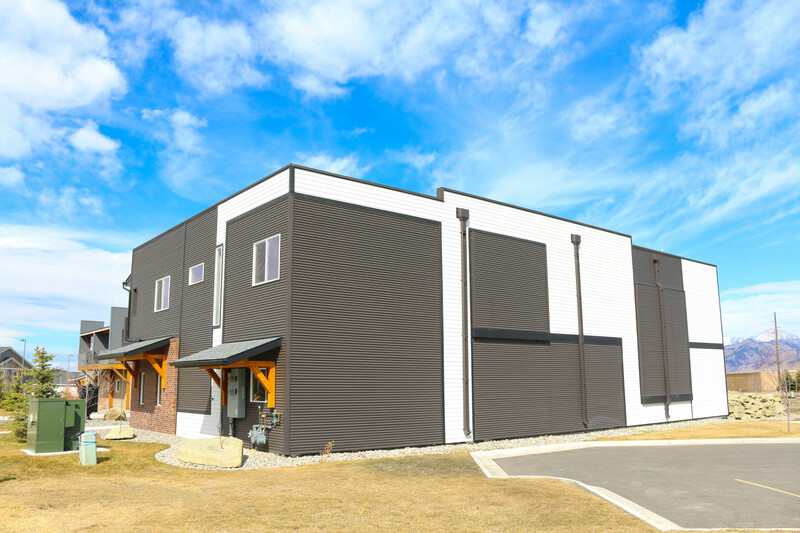 A new trend starting to appear in modern designs is to use standing seam panels for bold and beautiful siding. When installed correctly, these panel systems can be the perfect addition to a modern design. The hidden fasteners and strong line create eye-catching accents when run next to wood or stucco siding. We have also seen a high amount of modern designs incorporate the Ultra Batten in a horizontal layout. This layout works well in commercial applications with long, bold ribs that bring to life longer buildings and add more depth to the visual appeal of the wall. Choosing between vertical and horizontal siding ultimately comes down to visual appeal. Vertical siding creates the traditional look of tall clean, lines while making spaces appear larger than they really are. Running a standing seam or corrugated panel vertically can also continue the strong lines of metal roofing. For modern commercial projects, vertical Flush Wall is becoming a popular choice. Although vertical siding can be a bit more of a challenge to install, the end result will be worth it. Horizontally run panels are currently very popular when going for a modern look. The horizontally run wall panels are often used for their ability to be run in longer lengths, creating a seamless line the length of a building. For a clean repeatable look the 7.2 Structural or 6025 Structural Box Ribs provide modern lines and a nice balance of light to dark contrast. Often modern designs incorporate green building principles into their project. Due to recycled content, metal offers a wonderful material choice as a building product. Bridger Steel's metal is 100% recyclable, and a number of our colors qualify as Cool Roof colors. Metal offers a durable choice for adding on Solar Panels or creating a Rainwater Collection solution for the build. The sustainability factor of metal often goes hand-in-hand with a modern metal design.